John Beasley has nearly 30 years of litigation and trial experience, most of that devoted to handling employment cases on behalf of employees and small employers. He represents clients in both the public and private sectors and has tried cases under most civil rights and whistleblower laws, including Title VII of the Civil Rights Act of 1964, the Americans with Disabilities Act, the Equal Pay Act, the Family Medical Leave Act, the Age Discrimination in Employment Act, Sarbanes Oxley and the U.S. Constitution. John has also done considerable work on behalf of employees who have lost their jobs as a result of mass layoffs and plant closings in violation of federal law. Apart from his trial work, John represents executives and high-level corporate managers in severance negotiation both as an advocate and as adviser. Also, as a trained and registered mediator, John is also actively involved in helping individuals and companies resolve their disputes outside of the courtroom. In addition to his legal work, John is an active member of the National Employment Lawyers Association and currently sits on its executive board. He is past president of the Georgia affiliate of that organization, and he has served in leadership roles for the ABA Labor and Employment Section and its Employment Rights and Responsibilities Committee. He regularly speaks at employment seminars across the country and has published numerous papers and articles on employment related matters. He is the author of The Georgia Chapter of the BNA publication: Employment at Will: A State by State Survey Second Edition ed. Melinda J. Caterine (BNA Books)(2017). 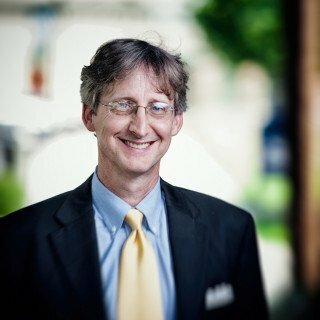 John is a member of the Georgia Bar and is admitted to practice before all Georgia state courts, the U.S. District Courts for the Northern and Middle Districts of Georgia, the 11th Circuit Court of Appeals and the United States Supreme Court.